New Wave Feminists founder and president Destiny Herndon-De La Rosa of Dallas told the Tribune a friend made her aware of an outcry on Twitter from supporters of the march calling for the removal of her group as a partner after The Atlantic published an article that mentioned the group's participation. The Women’s March on Washington is scheduled to take place in Washington, D.C., on Saturday, the day after Donald Trump’s inauguration. Hundreds of similar protests are expected that day worldwide, including two officially recognized Texas “sister marches,” in Austin and Brownsville. Late Monday afternoon, the protest's organizers appeared to retreat from its earlier embrace of the group. "The Women's March's platform is pro-choice and that has been our stance from day one," the organizers wrote in a statement. "We want to assure all of our partners, as well as participants, that we are pro-choice as clearly stated in our Unity Principles. We look forward to marching on behalf of individuals who share the view that women deserve the right to make their own reproductive decisions. "The anti-choice organization is not a partner of the Women's March on Washington," the organizers added. "We apologize for this error." Herndon-De La Rosa told the Tribune she believed organizers were “bullied” into removing her group as partner after its participation was made public. "Isn't that the irony of how Donald Trump is president right now? We kinda shove people down and make them take their weird beliefs and put them in a closet versus having open dialogue," she said. "I'm definitely a Never Trumper, so I'm not saying that like it's a good thing, I'm just saying, have we not learned anything from this?" The march has been billed as a grassroots, feminist rally that participants hope will make a statement to the incoming administration. Co-sponsors include organizations that support access to abortion, including Planned Parenthood and the National Abortion Federation. In the article from The Atlantic, march organizers were quoted as saying that pro-lifers would be welcome. Similarly, Herndon-De La Rosa told The Atlantic her group’s members are “true feminists” and said it would look terrible for any pro-life group to protest women instead of supporting them. Herndon-De La Rosa told the Tribune described the organizers' shift as disappointing and ironic but said New Wave Feminists still planned to attend the march in Washington, D.C. Aside from abortion, her group probably agrees with the rest of the march’s platform “95 percent of the way," she said. "It's not like we're trying to take abortion away," she said. "We're trying to get out there and help women and say 'Dude, how can we help women better?' 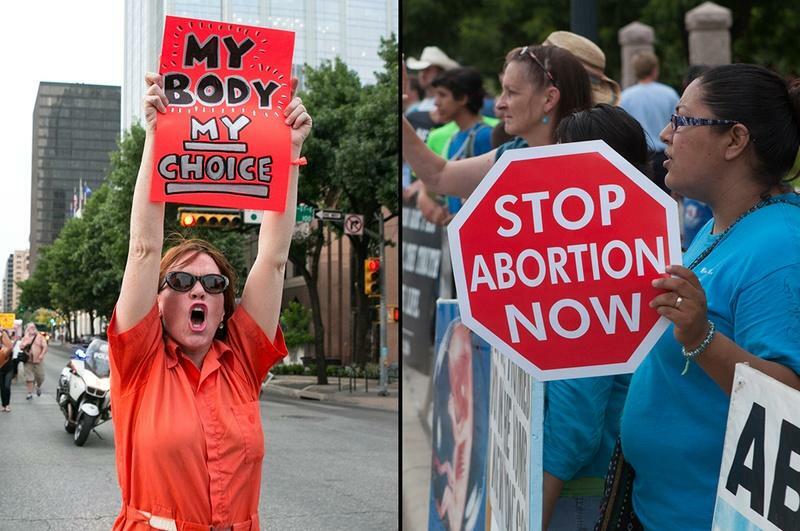 Because it's not pro-choice when a woman goes into an abortion clinic because she feels like she has no other choice."